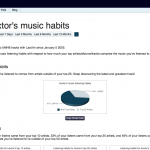 My Music Habits allows Last.fm members to visualize their music listening habits over various periods of time. The habits are broken down into trends for artists/albums/tracks which highlight the eclecticism in the member’s music listening habits. 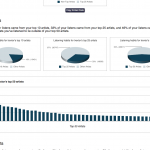 The Overall analysis showcases how much the music listener’s top artists/albums/tracks dominate the music she/he listens to. The analysis for the other ranges of time presents a comparison between the specified time range and other time ranges with respect to the number of unique artists/albums/tracks listened to within the range of time. 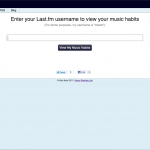 Does “My music habits” refresh him self new (e.g. daily, weekly or monthly refresh) ? glad that yоu simply shared this useful information with us. Pleаse stay us up to dаte lіκe thіs. I’ll right away seize your rss feed as I can’t in finding your e-mail subscription hyperlink or newsletter service. Do you’ve any? Kindly permit me realize so that I may subscribe. Thanks. I wonder if you would consider making an export option, ie, exporting the data for the charts as a csv file? Would be nice for making further analysis.